What Is an MDB File? A file with the MDB file extension is a Microsoft Access Database file that literally stands for Microsoft Database. This is the default database file format used in MS Access 2003 and earlier, while newer versions of Access use the ACCDB format. MDB files contain database queries, tables, and more that can be used to link to and store data from other files, like XML and HTML, and applications, like Excel and SharePoint. An LDB file is sometimes seen in the same folder as an MDB file. It's an Access lock file that's temporarily stored alongside a shared database. If your MDB file has nothing to do with Microsoft Access, it might instead be an Avid Media Database file that stores information about the media files used in an Avid video editing project. Though they have nothing to do with Microsoft Access Database files as described on this page, MDB is also an abbreviation for a multidrop bus, Memory-Mapped Database, and Modular Debugger. MDB files can be opened with Microsoft Access and probably some other database programs as well. Microsoft Excel will import MDB files, but that data will then have to be saved in some other spreadsheet format. Another option for viewing, but not editing MDB files is to use MDBopener.com. You don't have to download this program to use it since it works through your web browser. It even lets you export the tables to CSV or XLS. RIA-Media Viewer can also open, but not edit, MDB files and others like DBF, PDF, and XML. You can also open and edit MDB files without Microsoft Access using the free MDB Viewer Plus program. Access doesn't even need to be installed on your computer in order to use this program. For macOS, MDB Viewer (it's not free, but there is a trial) lets you view and export tables. It doesn't, however, support queries or forms, nor does it edit databases. Some other programs that may work with MDB files include Microsoft's Visual Studio, OpenOffice's Base, Wolfram's Mathematica, Kexi, and SAS Institute's SAS/STAT. Avid Media Composer uses MDB files generated by that program. Since these database files are made by the program automatically, they are also utilized by the software automatically. In other words, there probably isn't a way to open the MDB file from within the software's menu buttons. If you're running Microsoft Access 2007 or newer (2016, 2013, or 2010), the best way to convert an MDB file is to first open it and then save the file to another format. Microsoft has step-by-step instructions for converting a database to the ACCDB format. Though it's limited to converting only the first 20 rows of the table, MDB Converter is able to convert MDB to CSV, TXT, and XML. Like we mentioned above, you can import an MDB file in Microsoft Excel and then save that information to a spreadsheet format. Another way you can convert MDB to Excel formats like XLSX and XLS is with WhiteTown's MDB to XLS Converter. You can try this free Access To MySQL tool if you want to convert MDB to MySQL. Similar-looking file extensions don't necessitate that their formats are in any way related. What this means is that you most likely can not open them with the MDB file openers or converters mentioned above. For example, although they might sound the same, MDB files have nothing to do with MBD files, which are Multimedia Builder Project files. MBD files only work with the Multimedia Builder program. Similarly, MDB files have little to do with MD, MDF (Media Disc Image), MDL (MathWorks Simulink Model), or MDMP (Windows Minidump) files. Those files can probably not be opened in an MDB opener, nor can an MDB file be opened in the programs that work with those file formats. If you double-check the file extension of your file and realize that you're not actually dealing with a Microsoft Access Database file, research the file extension you do have to learn more about the programs that might be able to open or convert that particular kind of file. What's an ACCDB File and How Do You Open One? What's an ACCDR File and How Do You Open One? What's an ACCDE File and How Do You Open One? What's a MNY File and How Do You Open One? What's an MDW File and How Do You Open One? What's an ODS File and How Do You Open One? 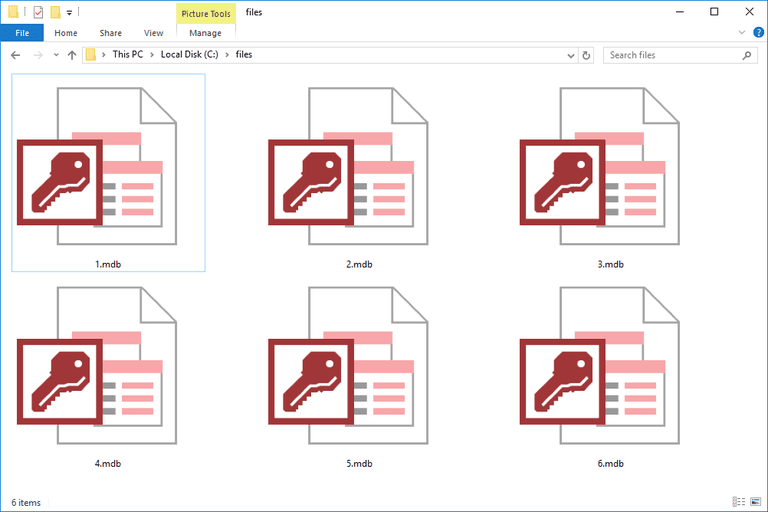 What's an XSD File and How Do You Open One? What Is an XML File and How Do You Open One? What's an SD2F File and How Do You Open One? What's an XLSM File and How Do You Open One? What's an ATF File and How Do You Open One? What's an XLSB File and How Do You Open One? What's an XLR File and How Do You Open One? What's an XLW File and How Do You Open One?